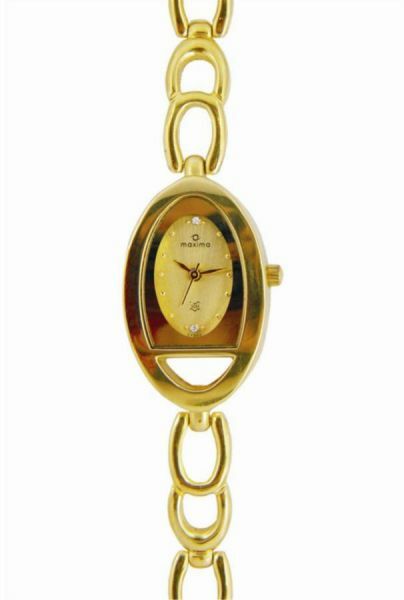 Check out this golden, sleek watch from Maxima that is just perfect for your slim and beautiful wrist. The creatively done oval dial will strike a perfect balance with any of your ensemble thus lending class to your personality. Also, the stainless steel strap in a chain style looks amazing with the dial.